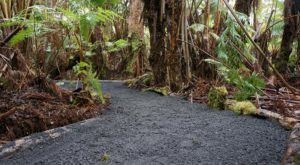 Here at Only In Hawaii, we love exploring our state’s magnificent hiking trails, and with near-perfect summer weather year-round, there’s nowhere better to lace up your hiking boots and hit the trails than our beautiful islands. 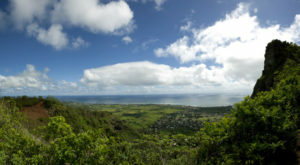 From short coastal treks to jungle hikes that lead to cascading waterfalls, we love them all. While everyone knows about — and has probably tackled — our most famous and popular trails, not everyone knows about this remote gem we’re about to share with you today. 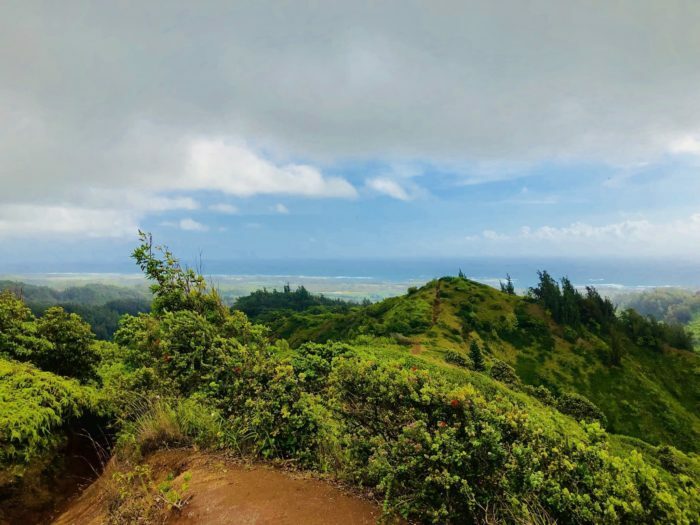 Nestled on Oahu’s northwestern shore off the beaten path, the Laie Ridge Trail not only leads to a picture-perfect waterfall but some striking panoramic views as well. So, what are you waiting for? Let’s explore! 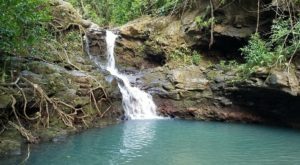 First things first, though: Laie Falls is located on private property and the only way to access it legally is to first retrieve a permit through Hawaii Reserves. 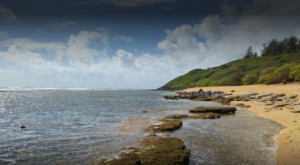 You can do apply for a permit online, or visit their office in the Laie Shopping Center. 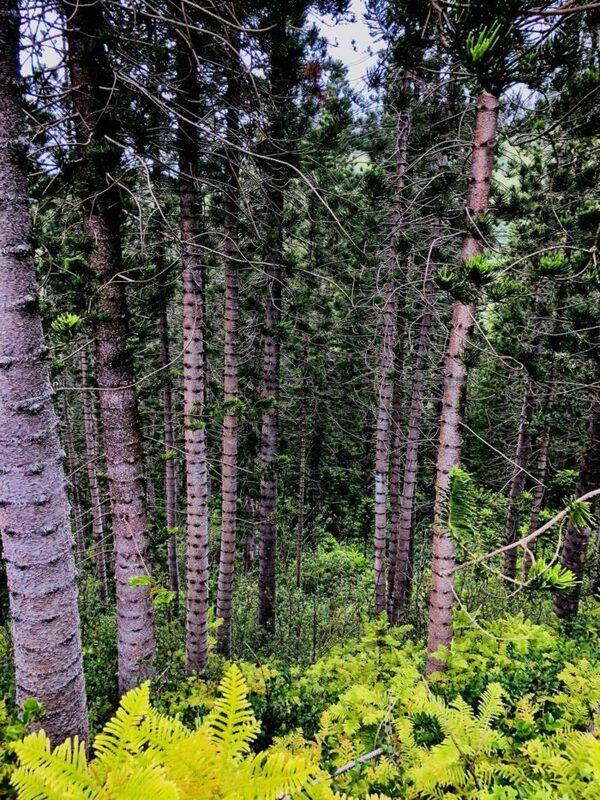 The 7-mile ridge trail gains approximately 1,200 feet in elevation and is rated as moderate, but we promise that if you’re in good physical shape and used to hiking steep trails, the views are well worth the exertion. You can plan on hiking for three to five hours, depending on your pace and how long you hang out at the falls, so be sure to start early! 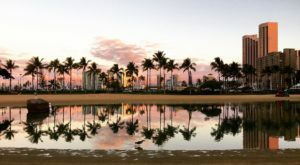 Along the way, you’ll find sweeping vistas of Laie, the Pacific Ocean, and the Ko’olau Mountains. Stop to catch your breath and soak in the natural beauty of this serene spot. 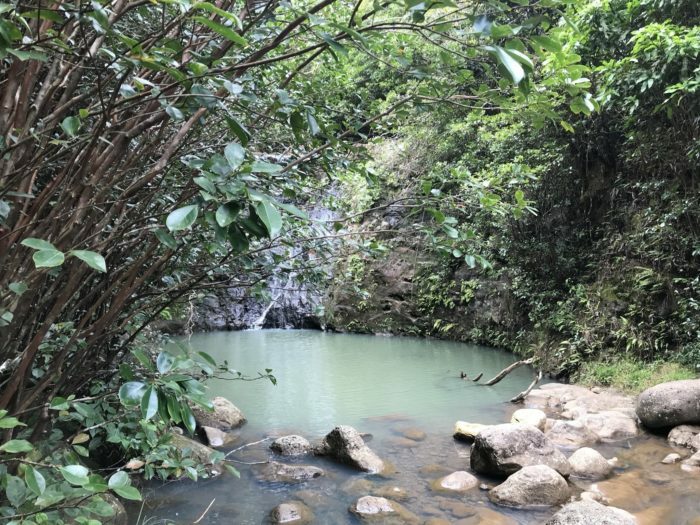 While you might not be impressed by the small 15-foot Laie Falls upon first glance, take a dip in its refreshing waters and you’ll be convinced: this hidden gem is one of Hawaii’s best. You'll feel as though you're miles away from civilization here, especially if you visit during the week. 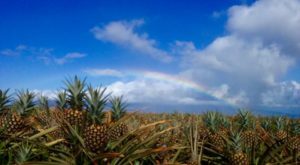 Don’t forget your camera — it seems as though there’s a gorgeous view around every corner, from unexpected groves of Cook Pines and strawberry guava trees to eroded four-wheel drive paths and views of the mountains and the Pacific. Stunning landscapes? Yes. Ocean views? Absolutely. 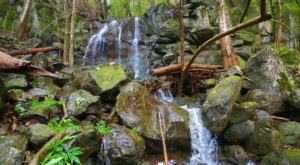 A picturesque waterfall? Check. 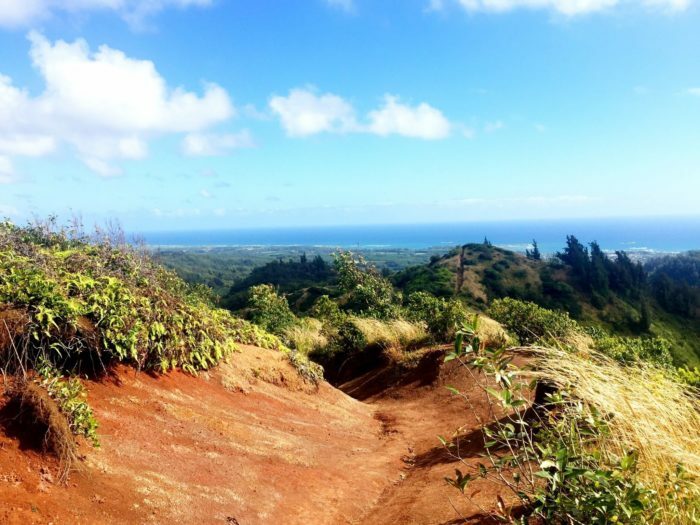 Seriously, what more could you ask for in a quintessential Hawaii hike? 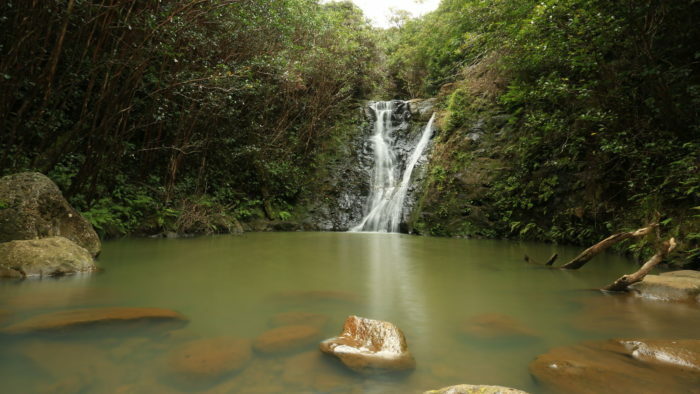 A quick note: because Laie Falls is a stream-fed waterfall, it is important to issue a friendly warning about the risks associated with flash flooding, and leptospirosis bacteria found in many of Hawaii’s natural pools. It is advised that you check weather reports and ocean conditions before heading out for the day, never swim in these pools when you have open wounds, and to always watch your step. 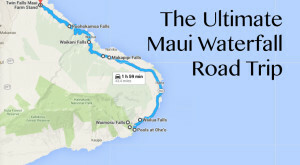 You’ll find the trailhead on Kamehameha Highway near mile marker No. 55. 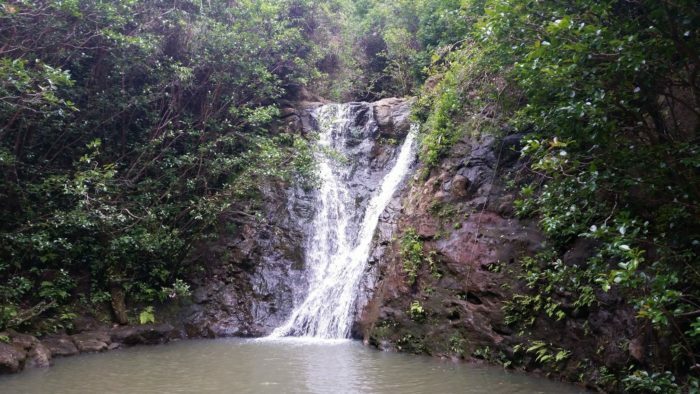 Have you ever hiked to Laie Falls? What about the nearby Lulumahu Falls? It’s one of my personal favorites! 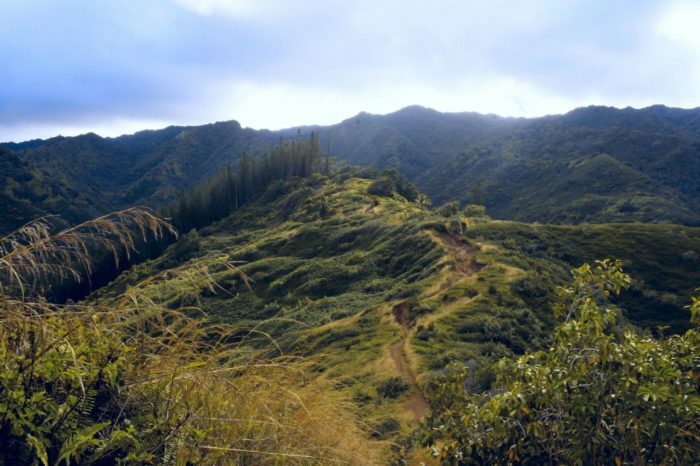 Speaking of favorites, share your favorite Hawaii hikes with us in the comments below!